Willow Center / Camp Erin July 5th – 7th: Camper’s Welcome! Camp Erin July 5th – 7th: Camper’s Welcome! What has canoes, campfires, crazy skits, plus cherished moments, memories and friends? 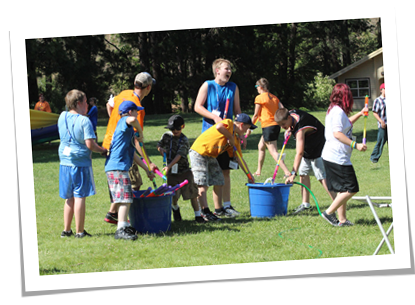 Answer: Camp Erin® of the Lewis-Clark Valley! On July 5-7, the Willow Center is holding its fourth Camp Erin for children and teens ages 6-17 that have experienced the death of someone close to them. Camp Erin provides a safe place where children can grieve with others who have been through a similar experience, reducing the sense of isolation often brought on by the death of a loved one. This free camp at Camp Wooten, combines traditional fun camp activities with grief education and emotional support. Campers do not have to be part of the regular Willow Center program to attend. Click here for more information.